Set deep in the rolling hills of Leicestershire, in the heart of rural England, Noisily Festival of Electronic Music and Arts is veiled by one of the most beautiful wooded valleys in the country. The festival is totally contained among the trees, creating a safe haven where hedonism and escapism can flourish and thrive, which is exactly what happened over the second week of July 2015. 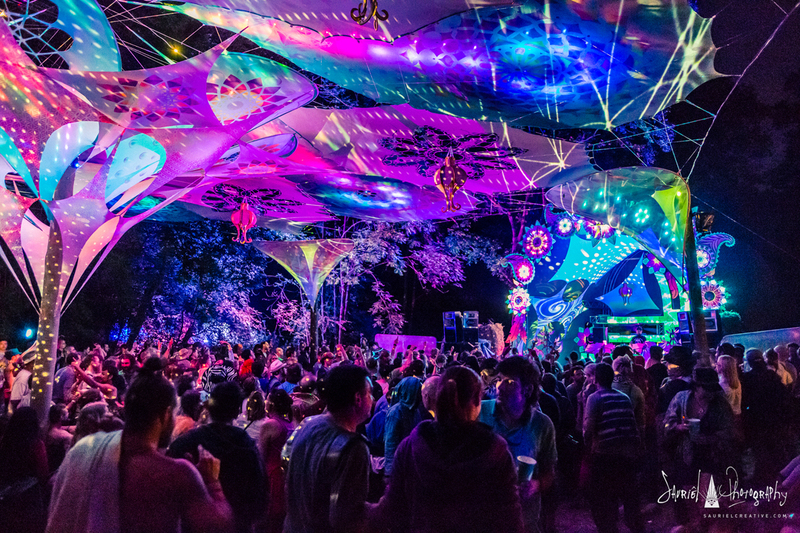 The fourth Noisily Festival spanned a range of musical genres through a first class Funktion-One set-up from Bassline Productions and Audio Feed. Noisily Festival 2015 saw 3,000 revellers descend on Coney Woods in Leicestershire. Across four stages and a smattering of smaller venues, performances from industry defining artists like Stefan Bodzin, Grouch, Loud, Outsiders, James Monro, Whyt Noyz and Victor Ruiz laid down the soundtrack to a weekend of underground electronic music. The line-up was complemented by immersive sound environments formed by the expertly tuned Funktion-One sound systems, manned by Oz Jefferies from Audio Feed. Last year’s festival saw the expansion of the site with the addition of the Liquid Stage. After a decade at the sorely missed Glade Festival, Liquid Records had found a new home with a bunch of kindred spirits at Noisily – on the same weekend of the year that Glade made its own. Both the Liquid Stage and the Noisily Stage had quadraphonic Funktion-One systems, featuring four points of two Resolution 4 speakers and two self-powered F221 bass enclosures. A pair of Funktion-One Resolution 2 speakers was deployed as monitors. Amplification for both stages came from MC2 E100s for the Res 4s and E25s for the Res 2s, with XTA DP448 processors for control. Discussing the sound, Bassline Productions’ Charles Audley said: “The quadraphonic arrays, installed with speaker stacks at four points, were measured with pin point accuracy and delivered perfect sound with no phasing issues at all. A handful of skeptics, who voiced their opinions before the festival, wrote to us personally afterwards to congratulate the engineers on their stellar work.